Welcome to my Business Brat review! I have to admit, Business Brat is a pretty fun name. But you know what's not fun? Seeing pretty much the same video over and over again. Oh, we'll get into that in a few. Business Brat's headline claims that a weird online trick discovered by an 8 year old girl made her over $460k. I guess we're supposed to assume that we can do the same? Let's dig into this Business Brat review and see. How Does ​Business Brat Work? Is Business Brat a Scam or Legit? The video claims that we'll be shown an extraordinary trick that can "legally vacuum up buckets of money" from a single page on the internet. This trick can work no matter where you are, or what age you are. This secrect was discovered from an 8-year old girl who made almost half a million dollars. By the way, that disclaimer says "Please do not assume any earnings shared, or potential discussed, are typical. Your background, education, effort and experience will affect your results. Any earnings shown are examples and not guaranteed on return on investment. Your results will vary." The video goes into some testimonials. At least these say "Real Testimonials. Actor Portrayal." Now, the thing is, we've seen this same exact testimonial many, many times. Because Business Brat is just one of many sales pages that likely funnels you into a different product. The video goes on to talk about the 8-year old and her "weird trick" that made her almost half a million in a year. And even better, most of the work was done for her. Do we ever get know what this weird trick is? You have to pay for that secret information. Teo says that after using the same system as this 8-year-old girl, he was able to make over $2,000 his first month. He did this just by following directions and setting up one page. He said it was so easy and it's not surprised an 8-year old can do it. All you need to do is grab your spot, follow the training, apply yourself and you can make thousands too! People from all over the world will buy products off of your page. I practically spaced out on the last part of the video because it's all the same thing. Easy. Practically runs on its own. Easy to set up. Make money, blah, blah. Let's go into this a little more. First of all, we don't actually know how this works because the sales video doesn't tell us. Always be very wary of spending money on something that you don't know anything about. 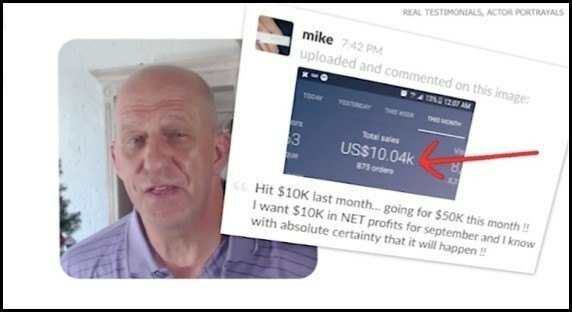 Most legit systems either give you a free trial, or a less expensive trial, or they demo the product for you so that you can see exactly what you're spending money on. And I recently saw another one out there called Broke Dishwasher. From what I know, it's just one person, or group of people, spitting out these new sales pages trying to get people into the main system, My Ecom Club. My Ecom Club is a site that teaches you about dropshipping. But, there are some issues with My Ecom Club, and that's likely why they use all these phony sales pages to make it look like different products. I seriously thought about spending $47 just to get a look for myself into the system to really see what's there, but I've read some complaints, and I'm afraid that if it's not a useful product, that I won't be able to get my money back. Because I didn't look into it completely myself, I don't really feel comfortable 100% calling it a scam. In fact, I bet there is some training that you get for your money, but I can't say whether or not its good training. (I doubt it since they're just trying to get you in the door to sell you on bigger and better things.) I still won't recommend this product, because it's not trustworthy. 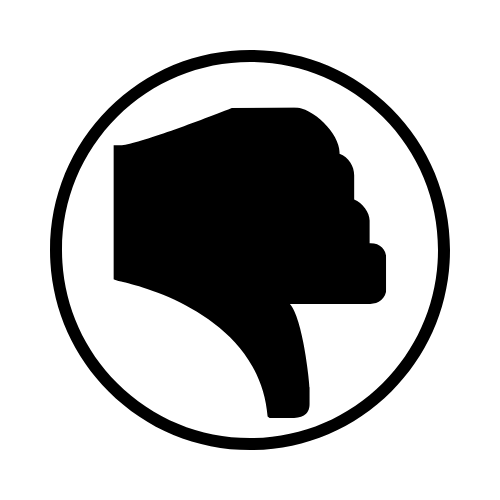 Every time I do a review of one of these new products, I go to check the complaints from My Ecom Club. And there always seems to be something new there. Today is no exception. Here is the latest complaint. To be fair, Me Ecom Club did respond and they said they credited this person with their refund and removed them from their mailing list. And if she was the only one complaining, that would be fine. But they have many complaints. So the Business Brat guys do have a disclaimer about the 8-year old. I talked about this girl in the Discover the Plan review, but her name is Alina and she created a business by developing healthier lollipops. 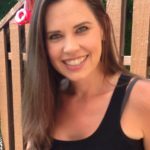 I'm not even sure how her story relates to ecommerce or dropshipping at all, because it seems she built a business by developing her own product. But somehow they tie her into this story. I'm sure she wouldn't be pleased if she knew! The biggest issue with My Ecom Club, from what I've read, is that they keep pressuring you to buy into more and more higher-priced products and services. I even saw the number $10,000 kicked around! I mean, what??! There are certainly costs with starting any business, online or not, but the great thing about starting an online business is that the costs are seriously very low to start. You can start a blog just like this one with just a hosting plan (about $100ish / year) and $14 / year for a domain name. 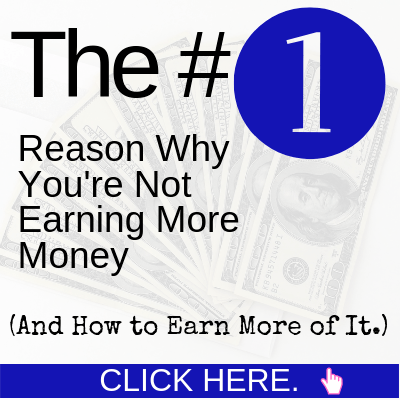 Learn to monetize it, and that's it! You're in business. Now granted, as you move along and build up, you will want to invest in more things, but you don't need anything close to $10,000! I do recommend investing in training. The one that I use is free to start (you get 10 free lessons) and that helps you to see if you like it and want to continue on. There's never any pressure to move to Premium if you don't want. So if you are interested in making money online, it's absolutely doable, but you don't need to spend a fortune. Really. In fact, I advise you to stay away from any of the big-ticket programs because likely they aren't giving you anything more than my #1 recommendation gives you. It's tempting to want to join up with these businesses that say that you can make a lot of money with little work. But you know what happens? These types of programs never work out. You'll just be wasting your time and your money. I'm trying to help you avoid that. Don't fall for these traps. Anything that you do will take time and commitment. There's always work involved. (It's fun work if you pick a topic to promote that you like.) And likely, there will be some investments along the way too. But you shouldn't need to spend even a fraction of $10,000 to get an online business going. Check out my #1 recommendation instead and let them show you how to create a website step-by-step without spending an arm and a leg! You'll see why over 45 people have already joined with me this year. What do you think about this Business Brat review? Do you think it's a scam, or maybe they're just using all of these different sales videos for testing purposes? Do you think it's shady that they all funnel you into My Ecom Club, or just standard practice? Thanks for sharing this article on Business Brat. I must say that this is my first time of knowing about it. You really did well in carefully giving the details of this application. Personally I can learn dropshipping on YouTube rather than spending 47dollars which is not certain in redeeming back. Business Brat is a no for me. Thank you for this review on Business Brat. Someone told me about this business brat And I almost subscribed to it but luckily I didn’t because network was too bad. Now I have got the review and realized that it’s not trustworthy in any way. Any fake testimonial is always a fake product. Thank you once more. Your number one recommendation is such an awesome platform and I am happy I joined recently. The fake testimonials are always a big red flag for me. It should be easy to get real testimonials if your product is good. At least they said that the people are actors. I give them 1 credit for that. Wealthy Affiliate is always my #1 recommendation because it’s just the best place to learn how to make money online – legitimately. And leading us back to buy a product with so much negative review only means this product or system is nothing to write home about and I won’t even waste my time trying it out even if it were free. Thanks for your recommendation though, looks more like a legit business to try out. 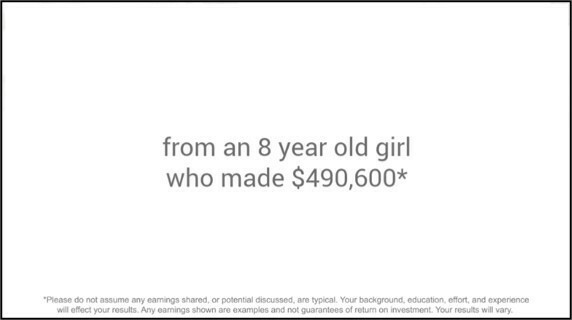 Well, to be fair, the 8-year old girl they used is an actual person who did make that amount (and more)! But she has nothing to do with Business Brat, so that’s why it’s weird.